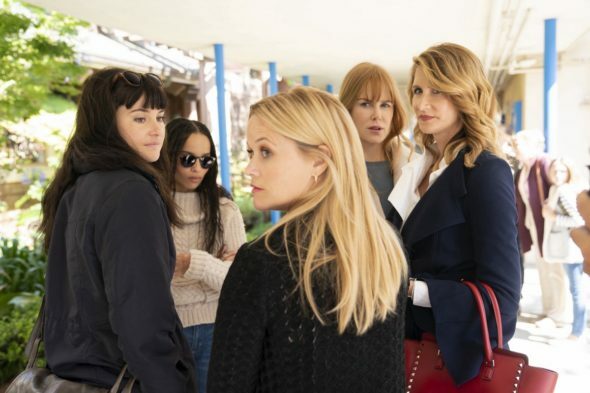 The show's second season - starring Nicole Kidman, Reese Witherspoon, Laura Dern, Shailene Woodley and Zoe Kravitz - will premiere on June 9. Meryl Streep also makes an appearance in the teaser as Mary Louise Wright, Perry's mother who is on the hunt for answers as to what actually happened to her son. Kelley said at a TCA panel for the series that Season 2 will "drill down" on the women's lie and explore "how will that lie permeate" the community of Monterey. "I don't think I would get the truth, would I?" When it debuted on HBO in 2017, it became an instant sensation, raking in four Golden Globe wins and eight Emmys, including acting awards for Kidman, Dern, and Alexander Skarsgård, who co-starred as Kidman's vicious husband.